Latest Issue of Boardwalk Now Available! 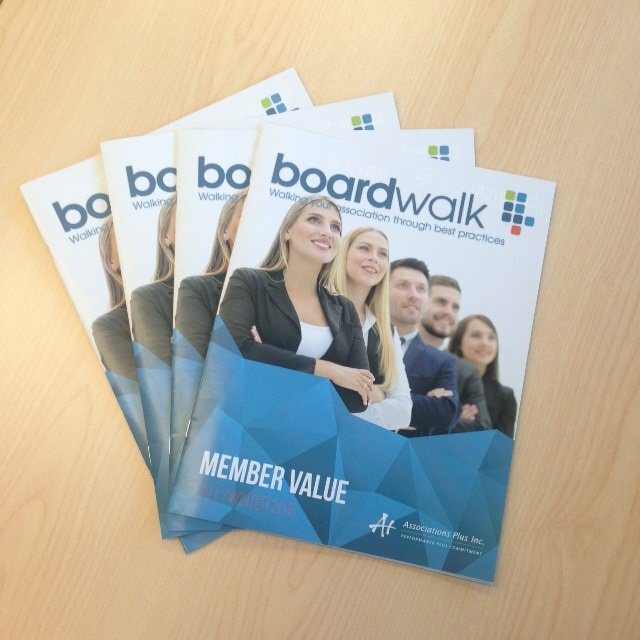 Have you checked out our latest issue of Boardwalk? Now available online here! Client Newsletters.....to go High Tech or to go Old School? We’re excited for this new initiative and are thrilled to have another way to reach out to our clients and showcase our expertise. If all email is to believed, I am sure we have all been multi-millionaires a hundred times over thanks to the generosity of some long lost relative, or that poor persecuted prince from Nigeria. The advent of email communication has improved workplace efficiencies and provided for instant access in a remarkable way, however it also comes with its share of headaches, such as scammers and spammers. But what do you do when the email in question is not from some high ranking Nigerian official looking for your assistance in accessing $26 million, but from a work associate? Okay, it is unlikely that a work associate will send you a phishing scam email, however it is highly probable that at some point during your career, a colleague will send you an email that will have you shaking your head and thinking to yourself “did they actually just type my name into that ‘To:’ field, and send this email to me?” While a huge fan of email myself, if not for email the 200+ emails I receive a day this communication would be coming in via phone and fax (shudder), I occasionally find myself facing down an email communique that can only be described as downright unprofessional. Inappropriate jokes – while I consider myself to have a great sense of humor, and love a good joke, if I have only met you once for a brief five minute discussion in a business setting, that likely does not warrant me a spot on your jokester email list. Wait at least until we meet for a second time. Foul language – just don’t. There were 470,000 entries in the 1993 edition of Webster’s dictionary, so I am fairly certain you can find a myriad of alternate words that are not four letters. Emails are forever, they can be forwarded, they can be printed out, they can be shared with entire contact lists, so conduct yourself accordingly. ALL CAPS RAGE – avoid the use of all caps, which is akin to shouting at someone. There are much more effective and professional ways to communicate your displeasure. A woman in New Zealand was actually fired back in 2009 for her email style sins, which included the use of all caps and red text (http://news.cnet.com/8301-17852_3-10322998-71.html). Proof your emails. While I cut some slack for those sending emails on their mobile devices, I am still an advocate for reviewing your emails for accuracy and spelling prior to hitting send. I will completely dismiss a resume or job application that comes in with typos in the email cover note. I recently received an email invitation to a new church opening from an individual I met once three years ago…the sentence “if you are not into building faith in God/increasing your own inner peace/light, please completely disregard this email” was actually used. No further elaboration is required here. Not sure if that email is too harsh/irate/inappropriate? Step away from it for an hour, or vet it through a brutally honest co-worker. Once it’s out there, it’s out there! Email is not a passing fad, it is here to stay (or will continue to evolve with new social media tools). Observe the common sense rules of ‘netiquette’ and type away! Membership Retention - How Does Your Organization Measure Up? The old business adage that it is easier to keep a customer than to get a new one applies to the world of member-based associations in that it is easier to keep a member than to get a new one. Your members are your organizations’ reason for being – are you keeping them happy? While our last blog focused on ways to attract new members, this one will touch on ways to keep the members you have. The first year of membership is often referred to as the conversion year, since this is the time when a new member is most likely not to renew. They may have decided to try the association out, or perhaps they joined through an incentive program, however if the value is not there for them they are unlikely to renew. So, how do you weather the conversion year? Two words - engagement and communication. Are you providing regular opportunities for your membership to get together? If not, look to incorporate this in, as face-to-face is the best way to engage your members. Are you reaching out to your members to involve them in the various volunteer opportunities your organization may have available? In a study done by Statistics Canada in 2010, 45% of respondents indicated that they didn’t volunteer because no one had asked them to do so. So, ask away….what better way to get your members more entrenched with your organization then by making them an active part of the team. Which leads to our second point – communication. Ensure that your members know what is going on within the organization. Remind them time and time again why they joined your organization, and of the value that your association brings. Make sure that this communication goes two ways though – reach out to your membership on a regular basis through surveys and polls to ensure that you are in fact meeting their needs and to identify new growth areas for the organization. Keep your members engaged, keep them informed, and keep them involved in regular two-way conversation, and you can look forward to a long, happy, healthy relationship.